Dr. Stewart is a 1988 graduate of Duke University, receiving a B.S. degree. He received his M.A. in Psychology from Louisiana State University in 1991 and his Ph.D. in Psychology from LSU in 1994. He received his J.D. in 2006 from Loyola University in New Orleans. 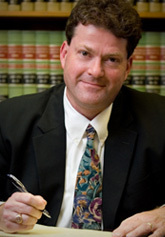 He joined the Law Offices of Hammonds, Sills, Adkins & Guice, LLP in August of 2008. Dr. Stewart’s law practice focuses on Special Education and Section 504 law. He is a member of the Louisiana State Bar Association, the Baton Rouge Bar Association, the American Bar Association, the National Association of School Psychologists (retired), and the National Council of School Attorneys. Prior to his employment as an attorney, he was a school psychologist for the Jefferson Parish Public School System from 1993 to 1996, a lecturer at Our Lady of Holy Cross College in New Orleans from 1997 to 2001, Coordinator of Pupil Appraisal Services/Behavior Management for the Jefferson Parish Public School System from 1996 to 2004, and a Special Education Liaison for the Jefferson Parish Public School System from 2005 to 2006. He is a licensed psychologist in Louisiana with a specialization in school psychology. Wayne is also a qualified mediator in Louisiana for Child Custody & Visitation.